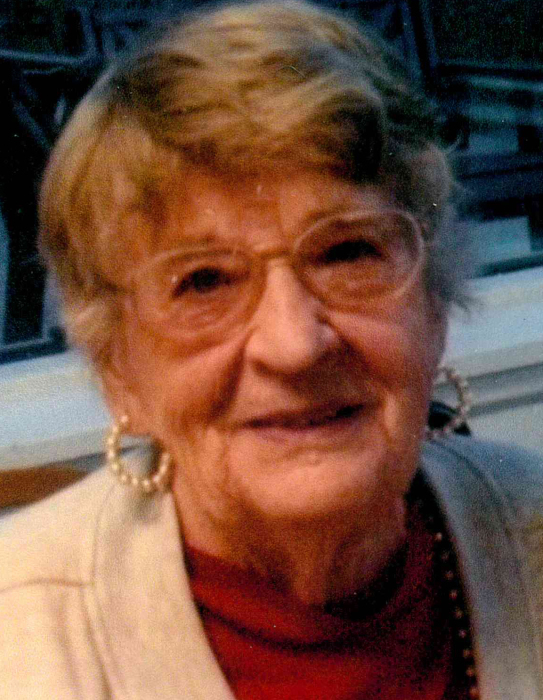 NEW LENOX – Rita M. Howe, age 94, passed away Sunday, February 3, 2019. Funeral services will be held 1:00 p.m. on Thursday, February 7, 2019 at Gladfelter-Roetker Funeral Home with Reverend Philip Peterson officiating. Burial will follow at Oakwood Memorial Park. Visitation will be from 11 until the time of service on Thursday. Rita was born November 26, 1924 in Wedron, the daughter of Charles and Fern (Mason) Thompson. She married James Wallace Howe Jr. on April 14, 1945 in Ottawa. He preceded her in death on October 17, 1999. She is survived by a son, William (Peggy) Howe of Plano, TX; a daughter, Joan Labieniec of Homer Glen, IL; 13 grandchildren; 22 great-grandchildren; 4 great-great-grandchildren; a niece, Marion Garrow; and a nephew, Luis (Brenda) Massette. She was preceded in death by two sons, James Howe III and Robert Howe; a brother, George Thompson; two sisters, Vernyce Halligan and Barbara Massette; and a grandson, William Howe Jr.
Rita was a member of Stavanger Lutheran Church. She trained as a nurse during WWII and worked at Ryburn Hospital in Ottawa until she married. She loved reading, playing cards, and making ceramics. She loved her family dearly and was always there for them when needed. Memorial contributions may be made to Stavanger Lutheran Church. To share a memory or light a candle, please visit www.gladfelter-roetker.com or Gladfelter Funeral Home on Facebook.